I notice from the groups which my Thailand golf vacation company hosts, that these days there is an ever-increasing choice of long game equipment. Nearly everyone has a different approach to their long game set-up, with varying combinations of fairway woods, utility clubs and long irons. Even golf professionals use diverse equipment. Traditional long irons are now complemented by fairway metals in 13°, 15° and 18° options as well as utilities or hybrids (‘rescue woods’ or if you are golfing in Thailand a “katoey”) in 17°, 19°, 21° and 24° loft. Each of these clubs offers a different trajectory and ball flight option to each player. So, in Thailand, what is the best option that gives you a playable trajectory for your game at preferred yardages? The answer is that your ball flight, yardage, and courses you are playing will influence your choice of long game equipment. A number of factors come into play when changing your long game golf clubs. Firstly, you should look at the yardages that you would like to achieve between each club. If your driver distance averages around 250-260 yards, you will probably want the yardage for your second biggest club to be around 230 yards and the third at around 210 yards. Secondly, it is also important to factor-in your ball flight. 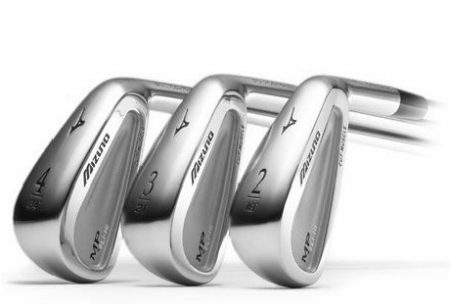 For example, a strong player with a low ball flight may struggle to benefit from a traditional two or three iron and would be better suited to a more usable, higher flying fairway metal or utility in an equivalent loft. Conversely, a strong player with a high ball flight may find the more penetrating ball flight of a two iron of benefit to their game. Finally, it is essential to consider where you play the majority of your golf (hopefully here in Thailand) and how you personally plot your way around the course. Playing most days on a sea-side, links-type course with strong prevailing winds (Amata Spring Bangkok or Mission Hills Phuket) is obviously a quite different prospect to a sheltered, flat, parkland course (Alpine Golf Bangkok or Springfield Hua Hin). Similarly, a wet, marshy-type layout where there is little run on the ball and where a low ball flight will be advantageous (Chiang Mai Highlands or Thai Country Club). On the other hand, a course with dry, fast-running fairways and hard to hold greens (Green Valley Bangkok or Santiburi Chiang Rai) where you need to float the ball in on a high trajectory will benefit from the use of the new hybrids. Once these three factors are all straight in your mind, then it is best to arrange fittings with your preferred equipment supplier(s) or head over to Thaniya Plaza if you are in Bangkok. Having the correct long-game set-up will instil the confidence to execute the most demanding long game shots and put you on a path to lower scores. What better reason could you have than to consider this aspect of your golf game? Let me know which set up you prefer.